The Digital Youth Fellowship Programme (DYFP) of the Digital Empowerment Foundation seeks to engage willing youths in India and South Asia, who are keen to have development and grassroots experience in working with communities in any parts in India. The fellowship period is for minimum 90 days duration, and fellows get travel, accommodation, and living expenses during their fellowship. Under this initiative, fellows are ought to travel and work with a cluster of Panchayats at a district level. The tasks of the fellows are cut out to make elected members digitally literate and collect content of the Panchayats and put them online through dedicated Digital Panchayat website. Check out online Panchayats at http://epanchayat.in. 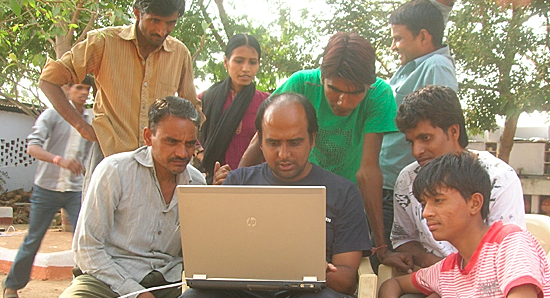 Digital Empowerment Foundation has established more than 30 CIRCs across India, which are digitally enabled and Internet connected for information services delivery and access, digital literacy, ICT Skills, citizen services and livelihood opportunities. The mission at DEF continues to establish one CIRC in each district of India. As CIRC resource persons, selected fellows are supposed to work with a particular CIRC, can join a 3-6 months stationed programme and contribute in making one person per household digitally literate and information empowered. Check out for more details at http://defindia.org. As a fellow of the DLP programme, selected fellows are invited to work with district public libraries in Kanpur Rural District (Uttar Pradesh) and Betiah in West Champaran District of Bihar. Selected fellows shall contribute in implementing and running various programme activities in the libraries with the support of ICTs. Women in the Indian state of Assam are routinely denied access to adequate health services and Assam’s health facilities often lack the resources necessary to ensure safe motherhood. As a result, Assam has the highest maternal mortality rate in India, with most of the deaths occurring among Adivasi (tribal) communities who live and work in the tea gardens. These violations of the rights to health, life and equality are neither reported nor addressed. Basic tools to communicate, inform, and document violations are virtually non-existent, and women lack access to mechanisms to hold public and private entities accountable for the failure to provide life-saving treatment as required by law. 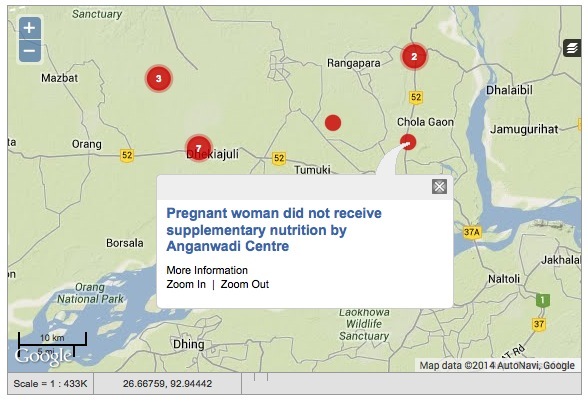 The End Maternal Mortality Now project launched an interactive website built on Ushahidi, to map failures in the health system in the State of Assam. Over 40 women in the District of Sonitpur have been trained to report violations of health and food benefits provided under the Government welfare schemes through codified SMS texts, which are then mapped to detect patterns of violations. 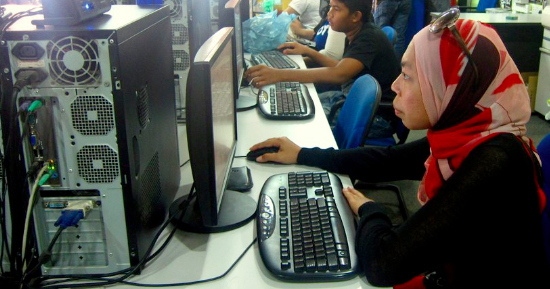 The project is supported in its pilot phase by the Information Society Innovation Fund. The data received is gathered on endmmnow.org, which maps patterns of violations as well as individual cases across the District. The nine-month pilot project will be used to demand better health infrastructure by local activists and lawyers through administrative complaints and court litigation so that tea garden women workers be treated with dignity and have guaranteed access to lifesaving healthcare. 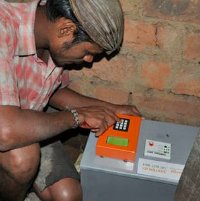 Can Mobile Technologies Solve Energy Poverty in India? Geetanjali is a 20-year-old Indian girl; she comes from a poor family; and her dream is to open her own designer shop when she graduates from college. Thanks tomobile enabled electricity, her dream may come true much sooner that she expected. Geetanjali lives in a slum near Bangalore, one of India’s biggest cities; and, like 75 million people throughout the country, her family has had to struggle with energy poverty for years. Where they live, there are actually electric lines; but their house was built without a permit and they could not get connected to the grid. And, even though they could have accessed it, they would probably have experienced 8-10 hours of electricity cuts every, as it is often the case in the poor neighborhoods. In India, experts say that under-electrification hits about 80 million people. Geetanjali’s parents do not have much money, and up to last year they would use kerosene lanterns to address their lighting needs after dark, whether it was for cooking, studying, sewing, or simply for eating. However, kerosene light was inefficient, lasted no more than one hour and caused strong indoor pollution. For Geetanjali, it made it very hard to study long hours after dark and in the longer run it would have been a major hurdle to her success. Of course, her parents could have purchased car batteries. Battery-powered light is often brighter, and it would have enabled them to charge small devices too. For them, it was not the right solution, though. As fuel price has constantly increased over the past decade, car batteries have a cost too, and to some households, it can account for 30 percent of their spending. Besides, they would have had to go regularly to the charging plant and leave the batteries there for two days, which they thought was not so convenient. Geetanjali’s parents wanted to go solar, just like their neighbors did a few years before. But, however convinced they were about the benefits of solar home system, they had to wait until October 2013 before they could switch to a solar solution when this was made possible by an innovative energy company called Simpa. Simpa was started in 2011 by two dynamic American entrepreneurs who strived to expand the access to off-grid solar solutions to the base of the Indian economic pyramid. To achieve this ambitious objective, they came up with a simple idea, which was to replicate the success of India’s mobile revolution in the energy sector. In India, there are 850 million cell phones throughout the country, and it took less than ten years to reach both the richest and the poorest. According to Michael Marcharg, Simpa’s co-founder, the key factors to this incredible success were the fall in handset prices but also the pay-as-you-go model, which has enabled the lowest-income people to adapt their consumption to their actual revenues. For Marchag, many disadvantaged households actually have the money to pay for the ongoing costs of a solar home system; but often they cannot make the upfront investment. They need time to raise the required funds and as their revenues are highly variable, they need to be able to pay as they go. This is why Simpa worked on a software solution that allows both progressive payment and flexible pricing. 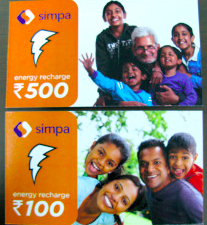 Indian people can therefore get Simpa’s solar home system for a $20-40 initial payment. To have electricity, the users have to purchase prepaid cards of 50, 100 and 500 rupees, on which there is a code. With this simple code, they are able to activate the whole system and generate as much power as they prepaid for. By purchasing these energy credits, Simpa’s customers do not pay for the light only; they also pay down the cost of the product itself. To most people, it takes them three to five years before they can reimburse the full purchase price; but once it is done, they own the solar home system and can enjoy free electricity for 10+ years. For low-income households, this progressive payment model makes all the difference, and it is not surprising that Simpa expects to reach more than 60,000 Indian households by 2015. Taking the example of Geetanjali, her parents could indeed afford to pay outright for Simpa’s solar home system; and, for 100 rupees only, they can now get electricity for one or two weeks in a row. For them, life is much easier. They can power their home with 25-50 watts lamps, but also charge a cell phone, a fan, a mixer or even a television. As for Geetanjali, she can now practice painting and sewing until midnight, maximizing her chances to achieve her dream! We are very pleased to announce that ISIF Asia received 93 applications for the 2014 ISIF Asia Awards. 34 applications from 12 different economies have been selected to take part in the awards process. The ISIF Asia selection committee has officially started the assessments of the applications to select 4 award winners, one for each one of the award categories to be announced during the first week of July. 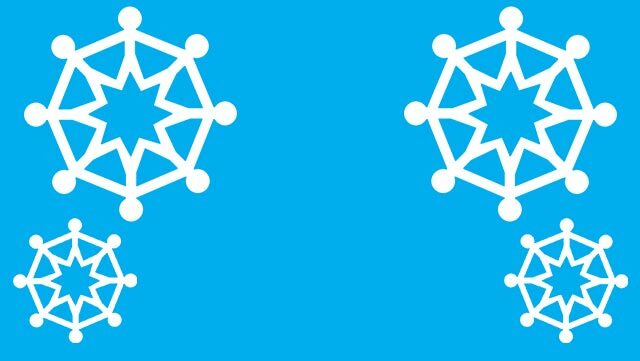 Each award package comprises of 3,000 AUD cash prize plus a travel grant to attend the Internet Governance Forum in Istambul later this year, to participate in the discussions about the future of the Internet. In addition to the 4 awards selected by the Selection Committee, the Community Choice Award is given to the application with the highest number of online votes. The online voting is open until midnight on 26 June. Login to be able to cast your vote. Review the Award Nominees and choose your favorite applicant. Click on the red square with the word “Vote” to cast your vote. Verify the information on the pop-up window to make sure the vote is valid. Another pop up window will appear indicating that your vote was successfully submitted and inviting you to promote your vote on social media. Please share widely, to increase your favorite project’s chances to win. Logout from the system so that others sharing your computer will be able to vote from another account. Please note that Facebook likes are NOT counted as votes.